Although the concept of smart device garage door openers may seem a bit complex, it’s actually simple to understand and to take advantage of. As our homes become smarter, the doors which we use the most during the day should not and do not fall far behind. Discover what you can do when your door is equipped with a smart opener and what the technology behind this innovation is. A smart door operator is simply an opener which is connected to the internet and has a monitoring sensor. When it comes to the mechanism of operation, it works exactly like a regular one of its kind. The difference comes from the way in which you can control the motor. You can do it via a mobile app on your smartphone, tablet, computer or another compatible connected device. Indeed, you can open and close your door remotely from any location on the planet. You don’t have to worry about range or interference like you would with a regular motor remote. The remote operation enables you to close the door if the kids have left it open or to open it for any service person without giving him or her an access code. Thanks to the sensor, which works to monitor the door, you can get notifications when it is being opened or close directly on your smartphone. All features of the technology help to boost security. Usually, you will need a special connectivity hub, also called internet gateway or door control module by different manufacturers, which connects to the router of your house. 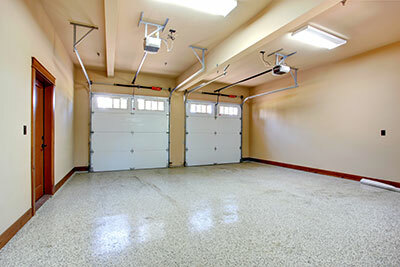 You will also have to download the mobile app to operate the automatic garage door remotely. In most cases, the app gives you instructions on how to establish connectivity between the router, hub and sensor. You will have to perform just a few simple steps as the process is practically automatic. Some manufacturers like LiftMaster now offer Wi-Fi enabled openers which don’t need a connectivity hub to work. They connect to the home’s Wi-Fi network directly and you can start running them remotely right away. You can select between chain, belt and screw drive openers which can be connected to the internet and operated via smart devices. They come with different specs including horsepower and different features like energy-saving motors and battery backup which allows them to open and close the door even in case of a power outage. At the same time, it is also possible to make your existing opener smart. You just have to check if its model is compatible with a connectivity hub designed or approved by the unit’s manufacturer. You may be surprised to discover that even models made a decade or so ago may be connected to the internet and run via a mobile app. Practically all opener manufacturers and not only big brands like Genie have a list of compatible models. You can also ask directly to get a clear idea of where you stand.